Increased prize money and innovative schedule changes will make this year’s CSI4*-W Royal Horse Show better than ever. 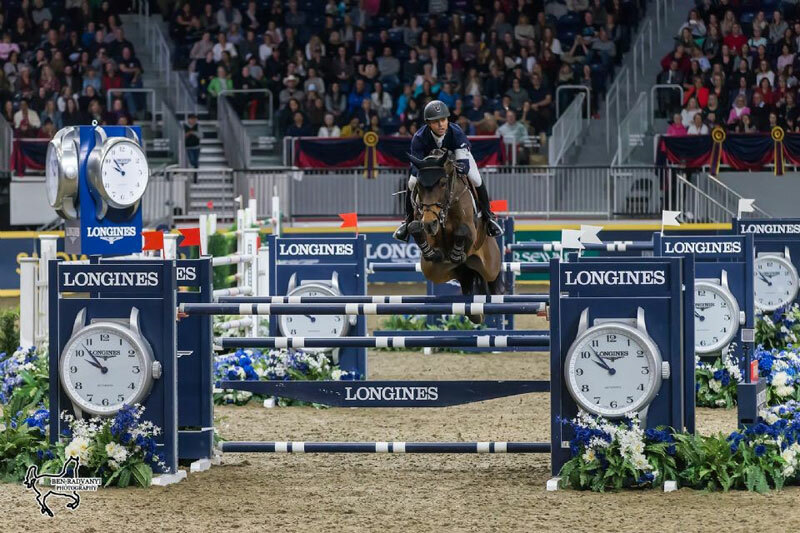 The $205,000 Longines FEI Jumping World Cup™ Toronto presented by GroupBy moves to Closing Night on Saturday, November 10. One of the hottest tickets in town, fans will see the best show jumping athletes in the world chasing the prestigious title as well as valuable qualifying points for the 2019 Longines FEI Jumping World Cup™ to be held next April in Goteborg, Sweden. The international show jumping division officially opens on Wednesday, November 7, featuring the $36,000 Jolera International Welcome in the evening session. A sentimental favourite, the $85,000 GroupBy ‘Big Ben’ International Challenge highlights Thursday evening while the popular $50,000 Weston Canadian Open remains in its traditional place on Friday evening’s Royal Horse Show schedule. Saturday afternoon, November 10, is Family Day, presented by McDonald’s, at the Royal Horse Show. The entertaining K9-Equine Challenge, presented by the Toronto Star, pairs show jumping horses with agility dogs to see who can complete their respective courses in the fastest time. In an unparalleled evening of horse sport, the $205,000 Longines FEI Jumping World Cup™ Toronto presented by GroupBy will bring down the curtain on Closing Night as Kent Farrington of the United States attempts to defend his title. Before the international show jumping division gets underway, top Canadian talent will contest the $125,000 Canadian Show Jumping Championship on November 2 and 3 in the hopes of taking home the coveted national title. Irish course designer Alan Wade, fresh off the biggest challenge of his career at the FEI World Equestrian Games, will set the show jumping tracks in the Coca-Cola Coliseum throughout this year’s Royal Horse Show. In addition to show jumping competition, this year’s Royal Horse Show features the exciting Horseware Indoor Eventing Challenge on November 2 and 3 while Tuesday evening, November 6, doubles down on derby fun with both the $25,000 Knightwood Hunter Derby and the newly-introduced Dressage Derby, which will see four riders going head-to-head in a knock-out format. Among this year’s featured entertainment, Australia’s Guy McLean will demonstrate his unique form of natural horsemanship throughout the 10-day Royal Horse Show. Offering more than $980,000 in prize money, the Royal Horse Show attracts competitors – and more than 1,000 horses – from around the globe for its 10-day run. VIP Platinum and Gold seating, as well as group and individual tickets, are on sale now and moving quickly. All Royal Horse Show tickets include general admission to the Fair.